The Holy Land has been known to be the 5th Gospel – it is a living experience of the Bible! It’s always difficult to articulate it all. It’s not JUST about visiting Holy sites which are remarkable in themselves; it’s also about meeting the “living stones” (local people), the culture, the history, and fun! The pilgrimage also builds up the body of Christ as we also receive grace and sometimes miracles of healing. The group met with the Latin Patriarch of the Holy Land, and also visited a Palestinian Women’s Solidarity Project sponsored by Catholic Relief Services (CRS). Purpose is to create funds by selling hand-made Palestinian embriodered items to support several families in Bethlehem area. One of the pilgrims, Susie, is a Catholic Women’s Conference Steering Committee member; she suggested this CRS Project become a joint effort with the Catholic Women’s Conference (www.cwcsanantonio.com). Our guide, Rula, is one of the very few Christian guides in the Holy Land; she will be a speaker at this year’s Catholic Women’s Conference. She is looking forward to visiting Texas for the first time and wants to have a traditional “Western” experience! Anyone have a horse she can ride? 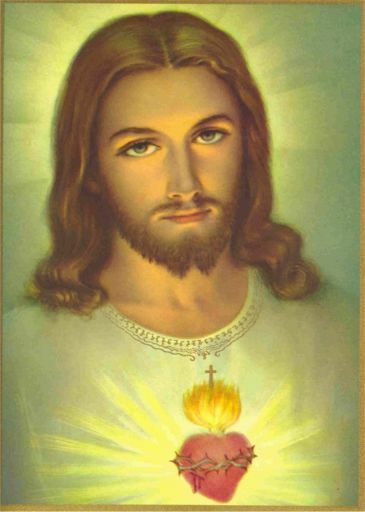 Today on the Feast of the Sacred Heart of Jesus, I was remembering when my grandmother gave me a prayer card of the Sacred Heart of Jesus when I was in Junior High School. On one side of the card shows the image of Jesus and His Sacred Heart exposed and the other is a beautiful prayer that since then I have been praying everyday! The prayer praises God, adores Him, implores His forgiveness and asks for the grace to do His will and for a holy death. What more can one ask? Sure…we can ask for our “list of intentions”….which I also offer the Lord after I pray that prayer! But for myself, it’s a great way to begin the day. Jesus loves us so much that he exposes His heart so that we will approach Him and receive His mercy.